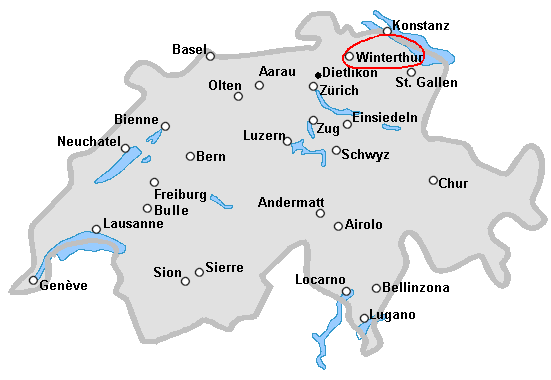 The next Swiss Juggling Convention 2008 will be in Winterthur, in the german part of Switzerland. - From Friday the 15 to Sunday the 17 of August 2008. It's one week after the european juggling convention in Karlsruhe ! - Location with Google maps. - It will be possible to sleep in rooms which have to be reserved. See the reference Web Page above. - For hotels : ??? Welcoming the jugglers, from 14 o'clock. Business Meeting, discussion about the future at 15 o'clock.